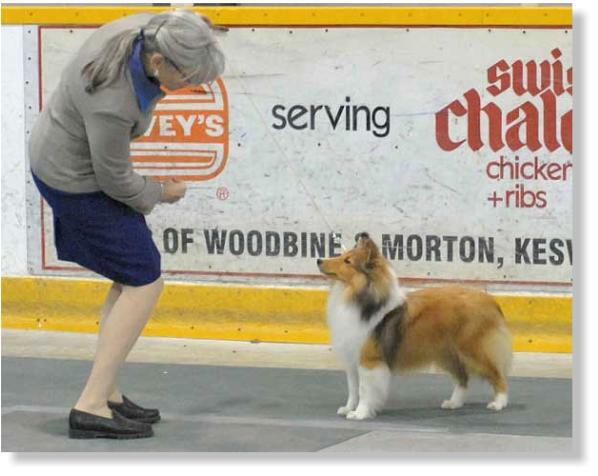 Emmie is pictured in the Group Ring with Cheryl Pike , who kindly guided her to a Group 4th win at the Georgina Kennel Club. Emmie was handled to her Breed & Puppy Group win by Shirley Perry. Thanks to Evelyn Susin for the ringside photo. I just love it! We are pleased to showcase Emmie. 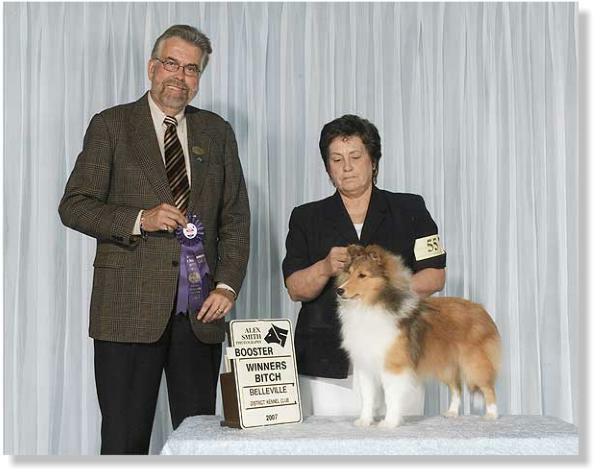 Emmie's sire is CH. RAVENSCOURT HERE COMES THE SON, her dam is HIGHLEDGE FOLLOWING TRADITION. She is a full sister to BPISS BPIG CH. HIGHLEDGE TIME STANDS STILL. Emmie has a beautiful soft sweet muzzle and melting eyes. Her tail never stops wagging. She has a well angulated rear, and covers ground effortlessly. 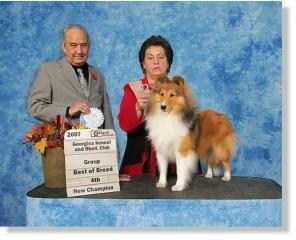 Emmie owned by Cathy Graham of Onawhim Shelties. She is the dam of two Champions.